Thank you to some amazing clients for their kudos! To expand operations in Colorado, we needed local fundraising expertise. Since most of our leadership staff is based in California, we looked for a respected, highly dependable fundraising strategist with excellent communication skills. Kathie, who came recommended by someone we trust, has been instrumental in building a foundation of support. She gained my personal trust quickly and has demonstrated reliability, flexibility and is a true team player. Now, we have a coalition of funders that are potentially interested in supporting our $4 million expansion in Colorado and local community leaders advocating on our behalf. Kathie supported DSF as interim development director and did an amazing job. She jumped right in, coached our junior development staff, confirmed a number of key sponsorships and helped ensure that our signature annual event raised $1.7 million. Our board was pleased with the results. Kathie delivered exactly what she had promised and more. I recommend Kathie without reservation and would work with her again anytime. Kathie was a pleasure to work with and has a solid grasp of best practices in development. She got to know us by conducting the development audit and took into consideration Highline’s limited resources when making recommendations. She presented the Board with a workable plan, tailored to our specific needs, as well as a detailed timeline. Kathie is great to work with--she's a fabulous team player who always delivers. Arroyo is my "go to" for fundraising counsel! Thank you for sharing your expertise with us. Your contribution, at precisely the right time and manner, have launched forward our campaign, and our development efforts in general, and have hugely helped our team. Your mentoring of STRIVE's development director has also been invaluable. 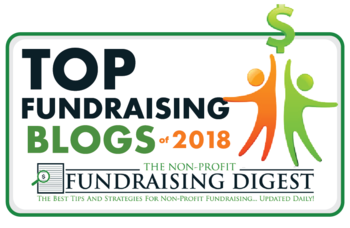 Kathie has an excellent grasp of best practices in fundraising and nonprofits. She is a great resource for strategizing donor cultivation and how to make the ask. She looks at opportunities from many angles and comes up with great workable solutions. Kathie and her team are wonderful at thinking strategically, developing a plan, and executing flawlessly. Kathie has a very donor-centered approach to sponsorships and fulfillment. We have worked with Kathie and her team for three years and I can't imagine doing an event without them. Loved your speedy Board Bootcamp, Kathie! Thank you for getting our wheels turning. After your lesson, I feel like fundraising can become a more natural part of regular operations for me. I've been actively cultivating since we met, and am looking forward to making the jump. I also have to say, I think the entire board is actively contemplating their stories to share now. Your solution seems so simple - I hope that in the coming months we can improve our program significantly to better share our stories, and improve our donor experience. I can't think of anything negative to say. For an hour-long session, you certainly nailed it.